Happy 6th Birthday, Lucy Mae! 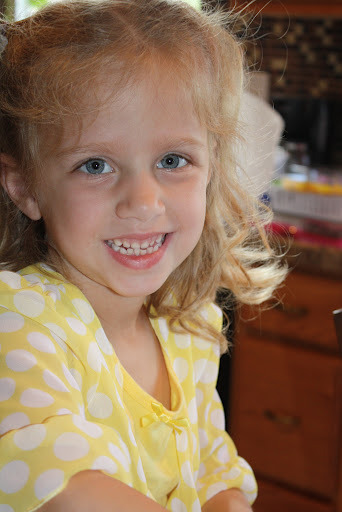 Better late than never. . . .
Lucy turned 6 on May 1 and she finished kindergarten on May 10. This was a big and . . . interesting year for Lucy. Kevin and I have concluded that age 5 at our house tends to be a rough age. So far, we are 2 for 2 when it comes to the full passion and opinions of a 5 year old taking control of emotions at the Swinigan household (I am PRAYING that 5 is different for DJ). Anyway, Lucy has grown a lot, but despite some rough patches, she is a very happy, go-lucky kid. She LOVES and LIVES passionately. Everything that Lucy does is BIG. When she is crafting, there is stuff everywhere. . . literally falling off the table because every square inch of the table is full. When she plays – whether dressing up, playing Barbies, etc – things are everywhere. . . .and she uses everything that she gets out. When she eats, she eats big – food and crumbs are everywhere. When she paints – there is paint everywhere on her, the floor, the table. . . everywhere! Lucy has a huge heart when it comes to those she loves. She is the first to give up a toy to make her sisters happy. She always wants to make (or buy) things for other people. She enjoys helping out – especially when it comes to jobs/chores that seem too big for her. She just wants to try. School was a big change for Lucy this year. While homeschooling is all Lucy has ever seen, doing the work that I expected was sometimes a challenge. She has no problems doing schoolwork if it is all fun and games, but as soon as something is hard – she panics. 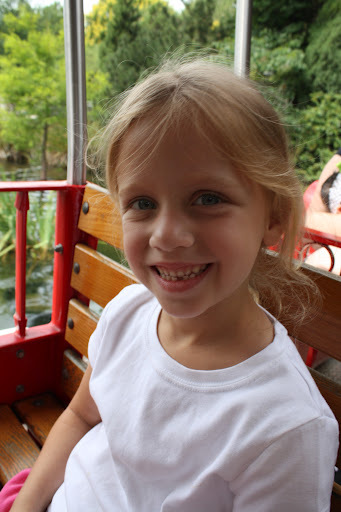 Lucy has done fantastic this year – she has picked up math incredibly fast and is doing a great job with her reading. My goal this summer is to have her read something everyday just to build her confidence – she can do it, she just doesn’t think she can. Lucy played soccer and while she is not overly aggressive, she did really well. She picks up the skills quickly and she had a blast!! 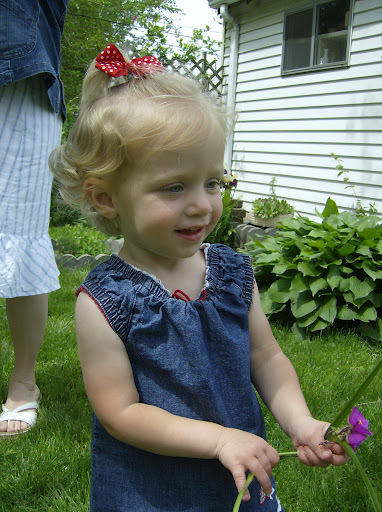 How did Lucy go from this (spring 2007). . .
We are so thankful for Lucy’s life – for her passion and personality! I pray that God uses her passion to touch the hearts of those around her. I look forward to another year of excitement with Lucy!! After a week of crazy hot temperatures, we had several days of beautiful 65-75 degree weather. Not typical for June in St. Louis, but we will take it! 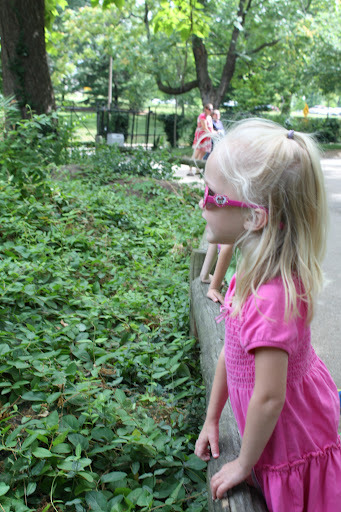 With perfect temperatures, we wanted to get the girls to the zoo. Our spring was so busy, I think this is just our third trip this year!!! Gasp! We went to church last night so we could head to the zoo first thing this morning. 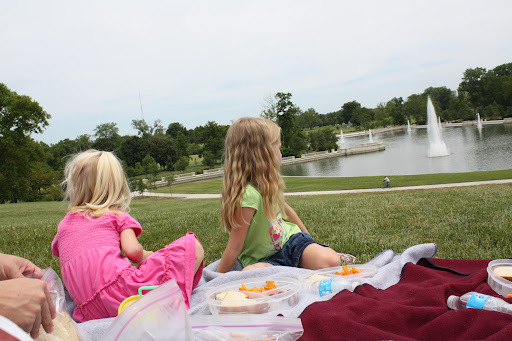 We left the house around 7:30, grabbed breakfast at Panera Bread, and headed to Forest Park. 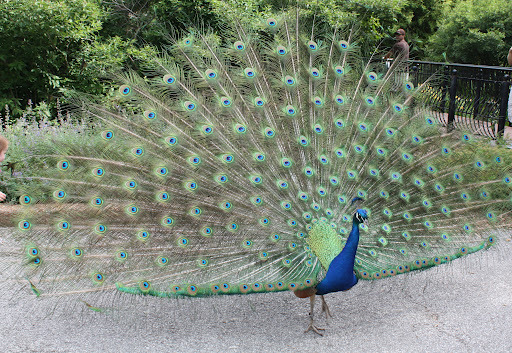 The zoo was not busy this morning at all – it was so nice! We spent about 4 hours at the zoo when we could tell the girls had hit a wall. They were hungry and tired so we headed to the car. We packed lunches to eat while we were still in Forest Park – this was met with some resistance until the girls saw where we were eating. We spread out blankets and parked it on Art Hill. The girls ate quickly and then ran up and down the hill – completely wearing themselves out (although no on napped on the way home). 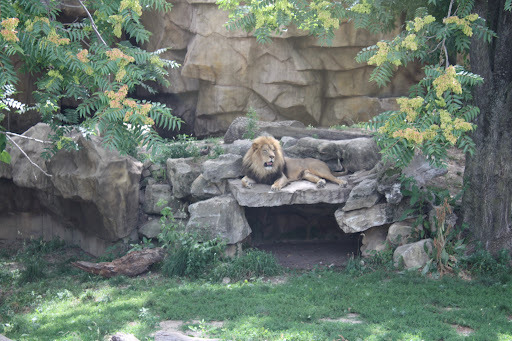 The lion looked as if he was posing for us!! DJ had to have her sunglasses on – she panicked if she couldn’t find them! 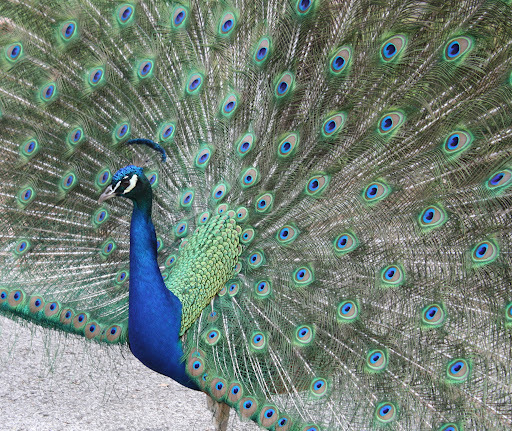 I think the peacock was the highlight of the day – AMAZING! He would turn one direction for people to get pictures and then he would slowly turn the other way – as if he was modeling or something. 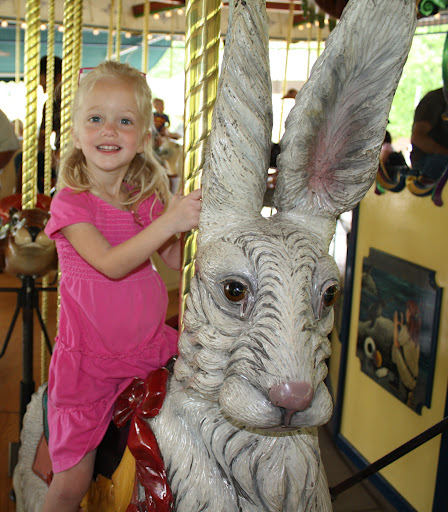 You may notice that there are no pictures of Lucy on the carousel. 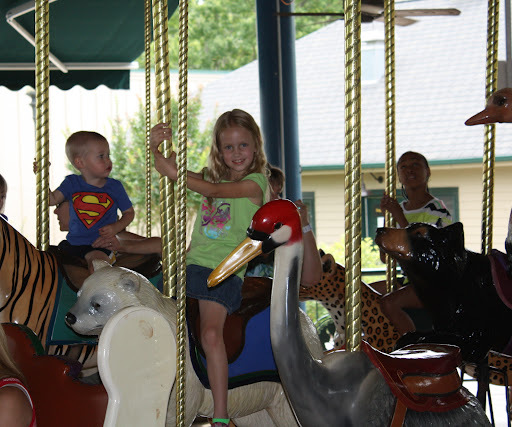 She, ummm, freaks out on the carousel – always has. We make her ride, but I sat with her on a bench. While I am still in denial that Daphne gave up her naps so early, it is nice that we don’t have to rush home so we don’t mess up her nap time. The girls are anxious to go back and spend more time in Forest Park! !